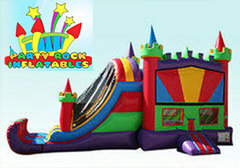 This Colorful bounce house combo has a bouncing area of 15x15 with a basketball hoop inside. It also features a climbing wall to the slide which leads you to crash in the soft cushion like bumper at the end. This unit will always bring a fun filled day to any event. 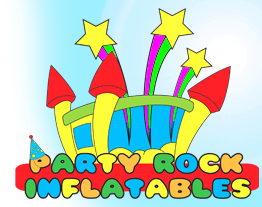 this is available also as a bounce house combo with water slide for those of you looking for water play!